In general, anger is a normal emotion that all of us experience from time to time. However, problems arise when it begins to affect and define the relationships that a person has with their family, friends, co-workers, and other people at large. Alegna Solutions offers counselling and therapy for adults with anger issues, as well as anger management for children, from our Gold Coast premises. Appointments are available in person, or online via telepsychology. Read on to find out more about the issue and how we can help. Anger is an emotion that is expressed in many different ways, from slight irritation to blinding rage. Angry behaviours include yelling, throwing things, criticising, ignoring, storming out and sometimes withdrawing and doing nothing. Anger can often lead to violence if not properly controlled and some people use anger as an excuse for being abusive towards others. Violence and abusive behaviour gives someone power and control over another person usually through creating fear. Like many emotions, it is accompanied by biological changes in your body. When you get angry, your heart rate and blood pressure rise and stress hormones are released. This can cause you to shake, become hot and sweaty and feel out of control. When people have angry feelings, they often behave in angry ways too. Anger is often associated with frustration – things don’t always happen the way we want and people don’t always behave the way we think they should. Anger is usually linked with other negative emotions or is a response to them. You may be feeling hurt, frightened, disappointed, worried, embarrassed or frustrated, but may express these sorts of feelings as anger. Anger can also result from misunderstandings or poor communication between people. Men and women often, but not always, manage and express anger in different ways. With men, anger may be the primary emotion, as many men believe that anger is a more legitimate emotion to express in a situation. Often men find it harder to express the feelings underneath the anger, like hurt, sadness or grief. For women the reverse may often be true – the anger gets buried under tears. Anger is not usually a good solution to problems, even if it seems helpful in the short term. 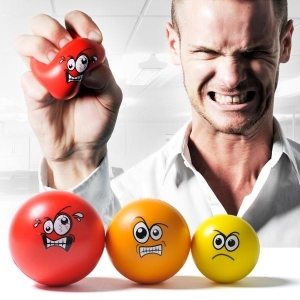 Unmanaged anger creates problems – sometimes for you and often for others around you. People with poor anger management are more likely to have problems with personal relationships or work, verbal and physical fights and/or damaged property. They can also experience anxiety, depression, low self-esteem, psychosomatic illnesses and problems with alcohol or drugs. It is important to manage anger before it leads to other serious problems. Some people used to believe that venting anger was beneficial. Researchers have now found that ‘letting it rip’ actually escalates anger and aggression and does nothing to resolve the situation. On the other hand, sitting on your anger and not expressing it may lead to the pressure cooker experience that many people are familiar with. Expressing some feelings of anger in a controlled way, rather than bottling it up, gives you an opportunity to release some of your underlying feelings, so that you can start to tackle the issues that are making you angry. Treatment for managing explosive anger involves ‘anger management’. Anger management is about understanding your anger and why it happens. It is about learning and practising better ways of expressing anger, and knowing how to prevent it from occurring in the first place. Specifically, anger management is about knowing the triggers and early warning signs of anger, and learning techniques to calm down and manage the situation before it gets out of control. If you would like to find out more about anger management therapy options at our Gold Coast clinic, or if you’re ready to make your first appointment, please call 1300 304 385.